My name is Monika. I have lived in England since 2014. I am a happy mother and wife. I am an optimistic person who keeps smiling while enjoying every moment of the life. I remember that my passion and love for creating has been discovered after I made the first card. It was for my son's friends from kindergarten. Scrapbooking and cardmaking give me a lot of joy. What I like the most is when all the household members are already asleep. This is my time to relax while creating cards, invitations, exploding boxes or spatial frames. All the time I learn to improve my workshop. Each of us should have some passions. 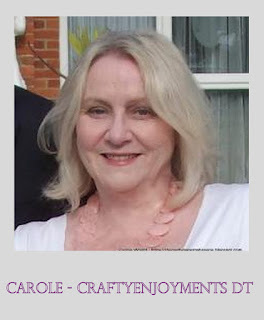 Definitely, my passion is scrapbooking and cardmaking. My name is Renata. I live in Poland. I am a happy wife and mum of almost two years old daughter and expect of a birth of my son. I deal with scrapbooking for one year but always been interested in the handmade craft. To be honest, I am a mathematician by education but I have a soul of an artist. My adventure with scrapbooking started with making photo albums but recently I also make cards, frames, diaries and so on. I often decorate my works with foamiran flowers, which I do myself. You can see my projects on YouTube. 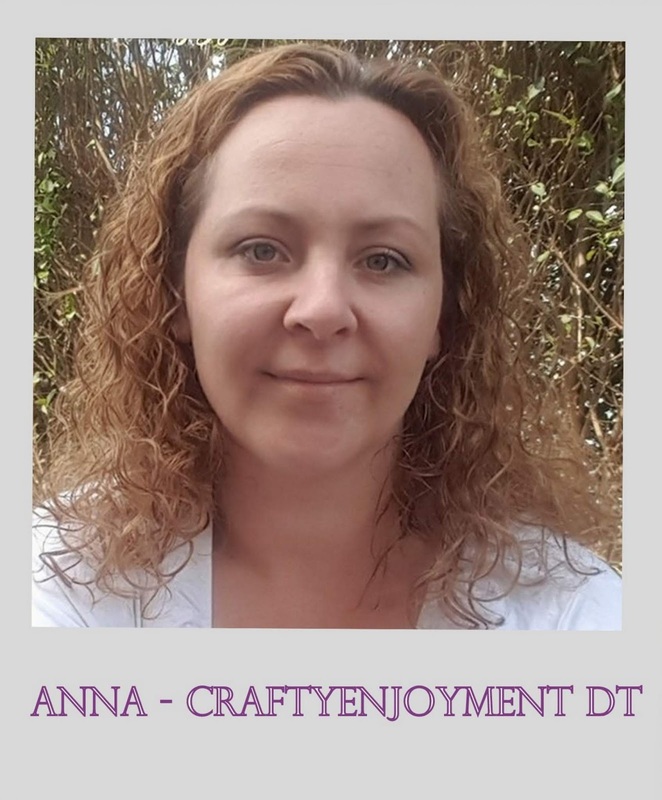 I like to challenge myself so I am very pleased to join Crafty Enjoyments DT. I hope to inspire you. Hello everyone, I would like to introduce myself. 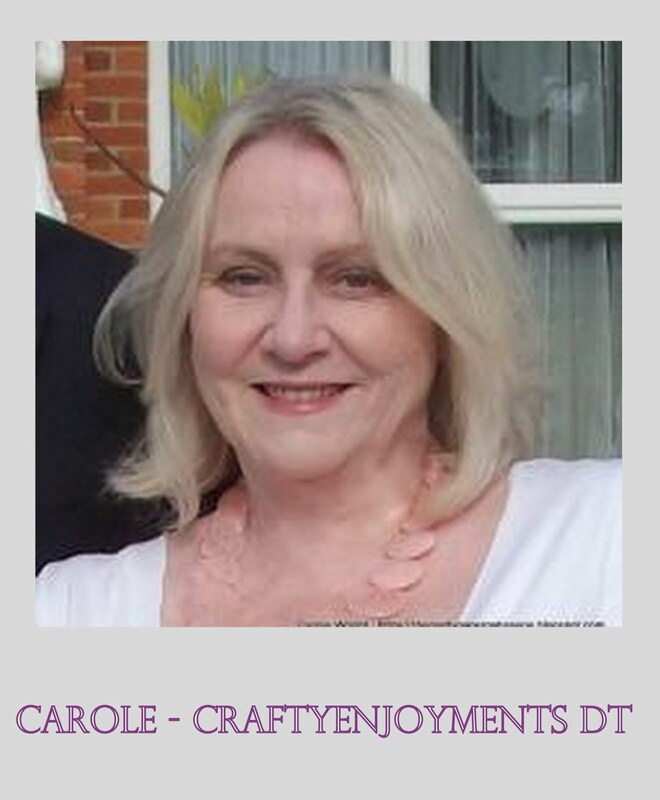 My name is Carole and I live here in the UK by the seaside. I am married to Phillip, have one daughter, Jessie and a white fluffy furball called Millie. 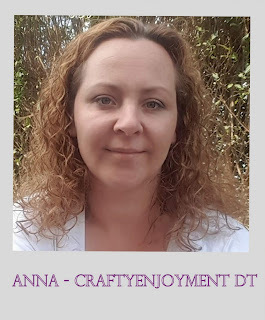 I am addicted to crafting and love cardmaking and scrapbooking the best. I have crafted all my life and am in my happy place when in my craft room. I am so excited to be working alongside such a lovely team and I am looking forward to getting to know everyone. 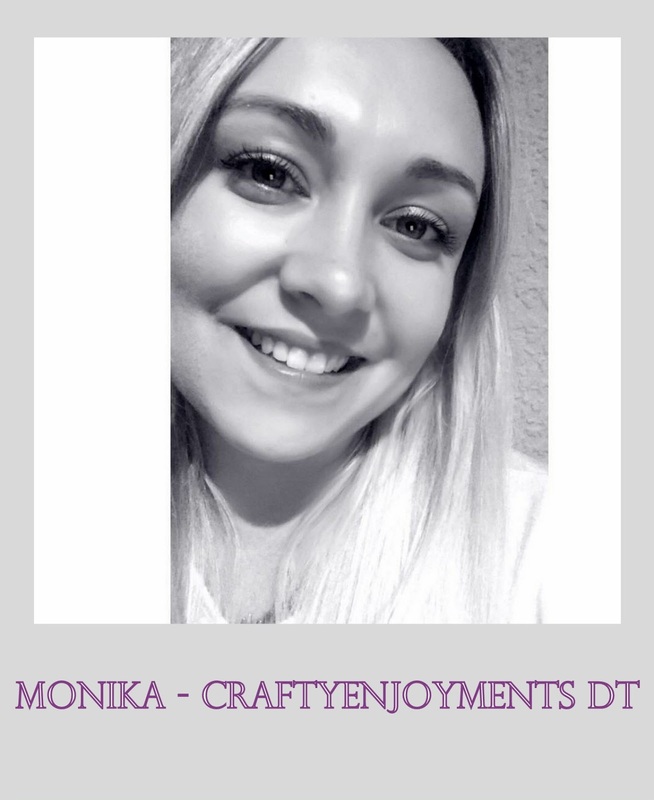 I am proud of being invited to DT and being joined to this wonderful CraftyEnjoyments Team. I am going to create special projects. My life runs alongside beloved and patient man, who is my husband for many many years. I have three wonderful children. Ever since I can remember, different projects were born in my head. The first were little houses, which I performed using shoe boxes with small furniture inside made from matchboxes. I loved to play in a toolshed, among hammers, chisels and screws. I think that is the reason I still like construction works. My mother taught me to knit, and instilled the love of poetry. I wrote my first poem at the age of 11 years. I also like doing makeups and hair cutting. All my free time I spend on the projects that occur in my head. Sometimes there are sweaters or hairdos, sometimes cards, flowers and another time bigger challenges. I take the Craftyenjoyments project very seriously. Working on it gives me a lot of satisfaction and joy. 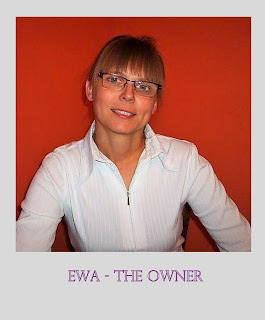 Thanks to this project I meet many very interesting people every day, for whom making creations is the passion. I love to create using products I offer. It is much easier for me to express myself when I use them. I am very happy that I can give this opportunity to others.